Painting the exterior walls of your property will not only enhance its appearance but protect it from moisture, mould, corrosion and other issues caused by the severe weather conditions. Real Painters in East London offer effective and reliable solutions for your exterior painting needs tailored to your personal taste and preferences. 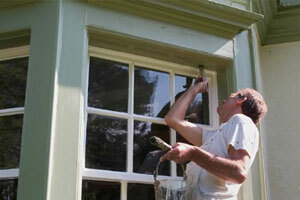 Our exterior decorating services cannot be performed at any season. For best possible and long lasting results, they are carried out during the warm seasons. Forget about climbing ladders and cleaning up brushes! Book our exterior painting services in East London and make this job an easy and simple experience. Our great staff is able to visit you from Monday to Friday (from 8 am to 7 pm). They will suggest the best painting solution for your unique property and give you a fair quote for the required job and materials.